WEDNESDAY, Oct. 1, 2014 (HealthDay News) -- Living close to a major highway may raise your risk for high blood pressure, a new study suggests. Among more than 5,000 postmenopausal women, those who lived within 109 yards of a busy road had a 22 percent greater risk of developing high blood pressure than women living at least half a mile away, researchers report. "The results of this study highlight the importance of our physical environment on our health and well-being," said lead researcher Gregory Wellenius, an assistant professor of epidemiology at Brown University School of Public Health, in Providence, R.I.
Wellenius cautioned that this study does not prove living near a highway causes high blood pressure, but only shows an association between the two. However, since most Americans live in urban areas, understanding the link between where people live and their health is vital, he said. "Approximately 80 percent of people in the U.S. now live in cities, so understanding the health consequences of the urban environment in which we live is important for individuals, public health officials and city planners," he said. A missing piece of the puzzle is knowing why living near a highly traveled road might increase blood pressure, he said. Wellenius speculated that it could "potentially be due to exposure to higher levels of either traffic-related air pollution or traffic-related noise. In this study, we could not distinguish between these two possibilities," he said. However, a number of other studies have linked air pollution from traffic to increased risk of heart disease and higher blood pressure, he said. "Several other studies have shown an association between exposure to chronic noise and high blood pressure," Wellenius added. Other than moving further away from traffic, one can do little to reduce the risk, he said. "The best advice for individuals who may be concerned is to lower their overall risk of high blood pressure by maintaining a healthy weight, exercising regularly, eating a healthy diet and not smoking," Wellenius said. The report was published Oct. 1 in the Journal of the American Heart Association. 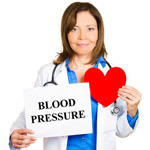 Dr. Gregg Fonarow, a professor of cardiology at the University of California, Los Angeles, said, "High blood pressure is a major modifiable risk factor for heart attacks, stroke, heart failure, kidney failure and premature death from heart disease." Earlier studies have suggested that living near major roadways may be associated with an increased risk of high blood pressure, but not all the findings have been consistent, he said. "Whether strategies to reduce exposure to traffic noise and traffic-related air pollution can reduce the risk of high blood pressure requires further study," Fonarow said. For the study, Wellenius and colleagues collected data on just over 5,400 women living in San Diego County in California, who took part in the Women's Health Initiative. The researchers looked for a link between high blood pressure and the distance women lived from a highway. They looked at distances ranging from 100 yards to more than half a mile. To make sure they were testing the association between nearness to a highway and blood pressure, the researchers took into account other factors, including age, ethnicity, smoking, education, income, cholesterol, weight/height, diabetes, physical activity and local food quality.